This book addresses the increasingly daunting task of building confidence in the use of cyber platforms and technologies against a backdrop of recent high-profile security breach incidents and a plethora of emerging threats that have shaken trust in these essential tools of our time. It follows publication of The Quest for Cyber Peace in 2009, which focuses on the promotion of cyber peace in a sphere which has generated tremendous benefits and progress to mankind, but also spawned widespread criminal activities and created new avenues for intelligence gathering, industrial espionage, and conflict. Necessarily, this volume returns to these issues revolving around the overriding theme of the use of the cyber domain as a potent force for either good or evil, especially the impact of the 'dark' Internet on trust in the cyber dimension. 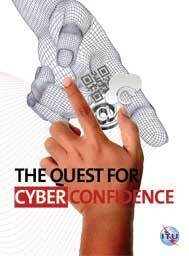 Here, however, its central theme promotes the concept of cyber confidence.